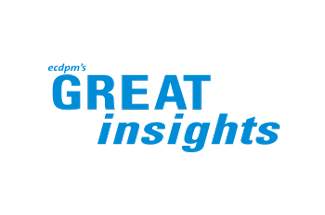 ECDPMGreat Insights magazineWhat role for informal markets in achieving sustainable and inclusive food systems? 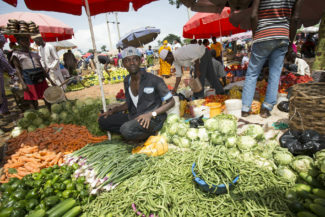 What role for informal markets in achieving sustainable and inclusive food systems? Vorley, B. What role for informal markets in achieving sustainable and inclusive food systems?. GREAT Insights Magazine, Volume 6, Issue 4. September/October 2017. The informal economy is the main route for food to reach consumers in much of the global South. Its dominance and dynamism challenges our understanding of what constitutes a sustainable and inclusive food system. The dynamism of the informal food economy has been central to the food security of growing populations in much of the global South. Despite rather than because of policy, and without large corporate structures, informal food networks have responded to changing market demands. These networks, sometimes stretching across long distances, have driven a reorientation of markets towards domestic and regional provision. 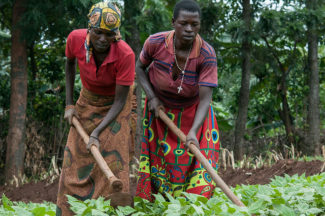 Agriculture in West Africa, for example, has shifted from 50% dependence on exports to the global market in 1961, to only 12% in 2010 (Allen and Heinrigs, 2016). It is the inclusive nature of the informal food economy that explains its resilience. Low-income consumers in informal settlements can find staples, fresh food, animal products, processed or prepared food to suit their constraints of cash, time or space. For smallholder farmers too, inclusiveness is the informal market’s comparative advantage. Informal traders pay cash, come to the farm, and buy all qualities. Formal markets, by comparison, may be less attractive. We have seen how contract farming schemes—from oilseeds to cotton—can struggle in the face of growing competition from informal traders. ‘Inclusive growth’ has become a watchword of development agencies and progressive companies. It is a paradox therefore that ‘inclusive growth’ initiatives focus on formal markets, given the inherent inclusiveness of the informal economy. The informal economy is, after all, the biggest private sector in much of the global South, and food trading, vending and processing will provide many of the one billion new jobs that the World Bank estimates are required by 2030 to absorb young people entering the workforce. Similarly, development agencies continue to emphasise the ‘upgrading’ of farmers to ‘high value’ formal and export markets and continue to finance ‘inclusive business’ case studies. This is often in partnership with multinational consumer brands, with an expectation that lessons can be scaled up. But scaling from formal to informal markets is not as logical as it sounds. With some exceptions, these are different markets, and initiatives in formal markets may remain as islands of success rather than templates for wider transformation. Policy makers and planners often hold the informal food economy in contempt as inefficient, unsafe, tax-avoiding, and a drag on modernisation and law and order. And they continue to exclude informal actors from policy and planning processes; for example, Uganda’s Vision 2040—the government’s central strategic planning document—makes no mention of the informal economy despite its huge economic relevance for the country. Our toolkit for ‘sustainable’ food—notably standards, certification and labels—is inextricably linked to formal value chains. To be sustainable is to be formal, if sustainability is defined by certification and labelling. But the high costs of verification, the lack of market premiums, and the diffuse nature of informal supply networks mean that these sustainability tools are a poor fit to the realities of mainstream informal markets, no matter how many pilot projects are financed. The same applies to another set of interventions for sustainability that revolve around ‘cutting out the middleman’. Some of those ‘middlemen’ have been central to the functioning of the informal food economy, but are rarely consulted as stakeholders in a sustainable food system. Rather than wish away the informal food economy, there is much that can be done to build on its inclusiveness while addressing its shortcomings. Those shortcomings include the fact that much food reaching consumers through informal channels has been produced through unsustainable practices. Little value is added in rural areas. And there are risks to human health—both perceived and real—especially from animal products and prepared food (‘street food’). Policy to improve the performance of the informal food economy must be built on evidence rather than perception, so that interventions can target hotspots of risk and unsustainability. A recent review of evidence from agrifood, mining and forestry showed that light touch approaches to formalisation can work, and do not always require regulation (Lewis, 2016). The International Livestock Research Institute (ILRI) has shown leadership in evidence-based recommendations, especially in distinguishing between hazard and risk in informal milk and meat supply (Roesel and Grace, 2014). Recognition of the informal food economy and its actors is a key step, meeting farmers, traders, processors and vendors in their markets. We have to stop pretending that we can get agriculture onto a sustainable footing through leveraging only the power of the formal economy. We cannot expect consumer brands or sustainability standards to pick up where public extension services left off. We need to address sectors as a whole, rather than individual value chains. There are examples around the world of how sectors can be aligned and funds raised for improving sustainability, productivity and quality across a sector. But with food staples, there is no escaping the importance of public investment, and the value of involving the informal food economy in getting the food system onto a more sustainable path. Allen, T. and Heinrigs, P. (2016), “Emerging Opportunities in the West African Food Economy”, West African Papers, No. 01, OECD Publishing, Paris. Lewis, S. (2016). Informality and inclusive green growth. IIED. Roesel, K. and Grace, D. (2014). 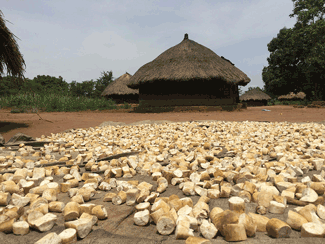 Food safety and informal markets: Animal products in sub-Saharan Africa. London, UK: Routledge. 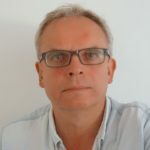 Bill Vorley is Senior Associate, Shaping Sustainable Markets group, at the International Institute for Environment and Development (IIED), London. 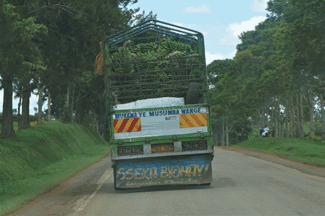 Photo: Uganda’s staple of matoke (cooking banana) en route from Western Uganda to the capital Kampala — the trade in matoke is predominantly informal. Credit: Bill Vorley. How can a bank’s financial services and networks contribute to the sustainability of food systems? I couldn't believe that in Africa we export what we produce, and import what we eat!